This article continues to explore the partnership between the State of Connecticut, the Connecticut Early Childhood Funder Collaborative, and the Connecticut Council for Philanthropy. These three entities have been working to coordinate their efforts toward a shared goal of establishing a statewide early childhood system, reducing the fragmented array of Connecticut's existing early childhood services and supports, and improving outcomes for young children and their families across the State. Independently and collectively, each partner continues to adopt new processes and working structures that enable the voluntary contribution of their diverse skills, expertise, and resources to create a new approach to early childhood in Connecticut. While clearly not the only constituencies working to improve outcomes for children and families throughout the state, this partnership between the public sector and the philanthropic community has resulted in important transformations within all entities involved. 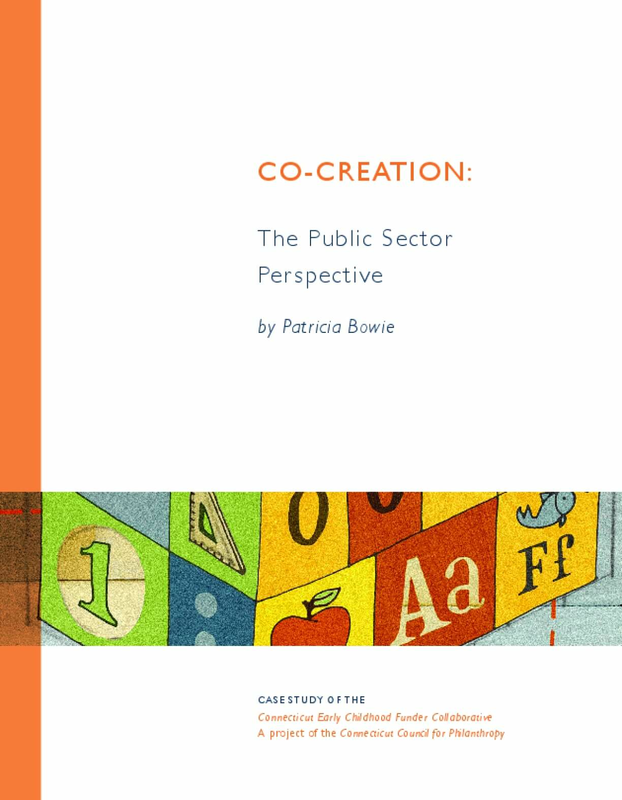 This paper highlights the role of the public sector within this public-private partnership, and, more specifically, the experience and perspectives of those working within state government.